Begin your tour by boarding a luxury mini coach from your hotel in Waikiki. On the drive to Pearl Harbor, your guide will share the story behind the attack on Pearl Harbor. The guide’s local insight into the war helps to build a compelling experience you won’t forget. A trip to Pearl Harbor deserves in-depth narration from an expert. After arriving at Pearl Harbor you will have a complete tour to the USS Arizona Memorial. The program includes a 23-minute film about the December 7th 1941 attack, a ride on a US Navy shuttle boat to the Memorial, and time to reflect as you board the Arizona Memorial. 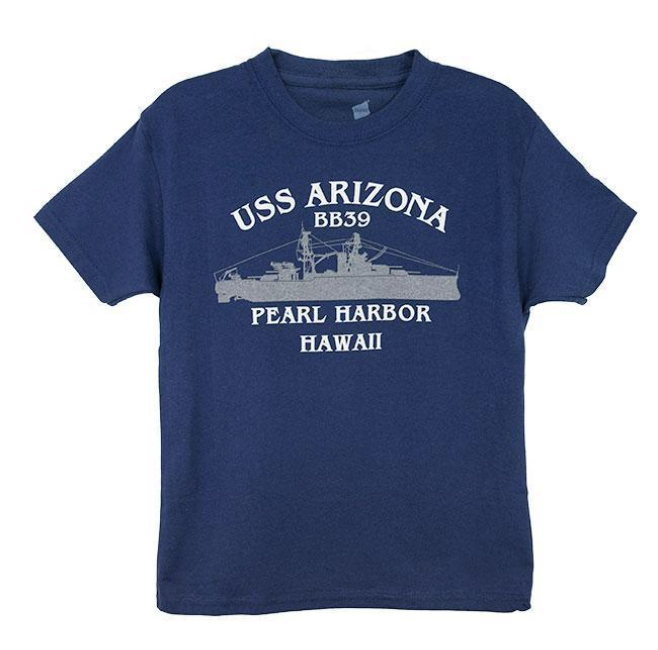 You will have free time at Pearl Harbor to browse exhibits and shop in the bookstore. Then you’ll depart Pearl Harbor to begin your circle island tour and witness the extravagant scenery Oahu has to offer. Next stop is the famous Dole Pineapple Pavilion, where you can sample fresh pineapple and ride the historic plantation train. Continue north to the amazing surfing beaches of North Shore Oahu including Waimea, Pipeline, and Sunset Beach. This is the best surfing in the world and home to world-renowned annual surf competitions. Visit breathtaking coastal locations like Laie Point and Chinaman’s Hat lookout. Enjoy a picnic-style lunch at a scenic location. We’ll take your lunch order in advance. Continue on to the breathtaking Nuuanu Pali Lookout with a view of the windward coast and a history that will fascinate you. See Waimanalo, Oahu’s longest beach. Stop and marvel at the Halona Blowhole, with her powerful spray. You might even see a turtle swimming nearby. Visit Hanauma Bay and see one of the best coral reefs in Hawaii. The last stop is Diamond Head Crater Lookout, where Amelia Earhart was last seen flying away. The Pearl Harbor & Circle Island Tour is the tour for those who want to see as much as possible in a single day. There’s a lot of stories, sights, ships and memorials to see at Pearl Harbor. The movie about Pearl harbor that they show first really was informative and educational then the boat ride to the memorial and the time spent there was a very quiet time and everyone was very respectful. I felt very proud to be an American and am very grateful for our military both then and now. The tour around the island just brightened everything up. Such a beautiful place! This is the perfect combo tour. A great place to know what happened during the Pearl Harbor attack and how it had affected many lives and how America become involved in WWII. The bus drivers were excellent – very informative, very friendly and fun. Everyone in our group was very grateful for all the help Michael and the rest of the crew bestowed on us. Excellent service! A sad and solemn place but a must visit while in Honolulu. Afterwards we learned so much about Oahu as we toured around the island. Crazy to know that there was an attack on such an amazingly scenic island. Pearl Harbor was great! Imagine being there 7th December 1941 I never realised it only took 2 hours for the Japanese to destroy all the US fleet. Over 1100 lives were lost there. Interesting and Fascinating to learn. Then we got to see the island of Oahu. This is a great tour to hit all the hot spots. 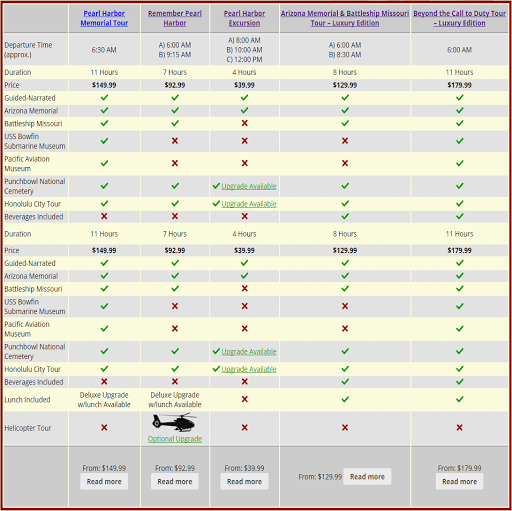 This was our first trip to Hawaii and we booked this tour online before we left. It was a very smooth process. The tour size was very good and bus was roomy, didnt feel squeezed in. The tour hit so many highlights around the island, somethings we wouldnt have found on our own. Our driver/tour guide was well versed on every aspect of Hawaii & endevoured to answer any questions from tour passengers. Oahu is beautiful, but Pearl Harbor was the highlight for us. We decided to take tour which encompassed all of the major sites in one day. Our guide was simply sensational – a real character. He told us wonderful stories about history and folk lore and we were simply amazed at the value for money. If you want to know about Oahu, this tour is a must. Glad we got to see Pearl Harbor, the Dole Plantation, and many other places. The picnic style lunch was delicious! If you want to know about Oahu, this tour is a must. Our guide was Bruce, a retired school teacher and passionate Hawaii aficionado. If we had just seen the sights, the tour would have been good enough, but Bruce’s excellent and amusing commentary made it extra special. We had a fantastic time on this all inclusive tour. We did this tour just recently and had Kaps as our guide. He was simply sensational – a real character. He told us wonderful stories about history and folk lore and we were simply amazed at the value for money. All of the sites were excellent and we enjoyed the tour. Kind of like cruise port visits, you got a taste of everything, but not a full portion! Left room for another visit. Pearl Harbor was eductional and moving.